Tierney’s Garage is independent garage, based in Cuffsgrange, Co. Kilkenny, specialising in the servicing and repair of Audi and Volkswagen vehicles. Our goal is to provide high quality servicing and repairs. Customer Safety and Satisfaction is our priority. With over 15 years in the motor industry, we specialise in all things Audi and VW. We know these vehicles inside and out and pride ourselves on being able to repair all models from the Audi Q7 to the VW Transporter. It takes a unique vision to focus on just one group of cars, but that is a testament to our passion for these vehicles, and extends to the care and attention to detail we display while working on your vehicle. Rest assured that we love your car as much as you do, and that transpires to superior workmanship and five star service. Once you bring your car/commercial vehicle to Tierney’s Garage you won’t want to go anywhere else. We do it all, from complete engine rebuilds to minor troubleshooting and maintenance. 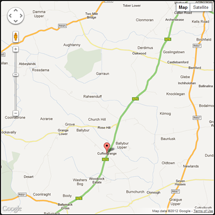 Conveniently located 5 miles from Kilkenny City, we service the Audi & VW community throughout the South East and beyond. We are the VW and Audi experts and know your car/commercial vehicle inside and out. As certified specialists we can handle anything that needs to be addressed. Our staff are friendly and professional and above all, put your needs first.